A three day fully residential event to discuss, learn, and share perspectives on Entrepreneurship, Governance, Law, Leadership, and Public Policy. "A youth without fire is followed by an old age without experience." The Youth are not only leaders of tomorrow, but also partners of today. 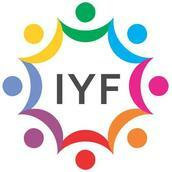 We at IYF are an inspired young team of individuals with a shared mission; a mission to change the world. With India witnessing a radical change in the mindset of people towards governance and policies, and increasing despondency among people due to continuous compromise of citizens' welfare, there is a rising need to address the grass root challenges of development and focus on making the world self-reliant through both - individual and cooperative efforts. International Youth Forum is a one of its kind endeavor to bring together motivated and inspired young adults from across the world to deliberate and work towards effective Policy, Change and Development. It is our 'Call for Action' to the youth worldwide. IYF will connect the world on a common platform and promote a sense of global-oneness. Through this initiative we wish to provide a positive stimulus to individuals who want to make a difference. We aim to connect various Student Groups, NGO's, Social Organizations and Youth Communities to work together for a better future. The Forum will be centered around the theme 'Role of Youth in Indian Renaissance' with discussions, seminars and competitions based on Social Entrepreneurship, Model Governance and Citizens' Participation. IYF is an initiative by Youth people from around the world and Alexis Society has taken the lead as its Principal Organizer. Last time when we came together, we built a nation. This time, let us reform the world. "Arise, awake and stop not till the goal is achieved. "- Swami Vivekananda. Alexis Society © 2016. All Rights Reserved.